Forked Android endangers Google's market foothold? 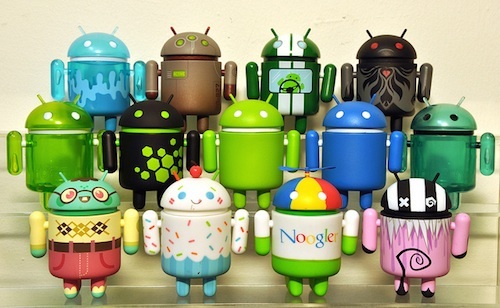 Forked Android endangers Google’s market foothold? Google is facing dilemma with its widely popular Android operating system despite the product’s large market share worldwide. A market analysis company has reported that forked Android – or those versions of the operating system that ditch key Google services in favor of certain apps – have increased in adoption over the last couple of years. Strategy Analytics said Android is now holding 85 percent of the market. However, Apple’s iOS generates more revenues than Android because of Google-less Android phones. Forked Android versions fall under the Android Open Source Project of Google in which device manufacturers tweak the basic features of the operating system, including removing Google apps and services in order to customize the software with their own apps. That means there are now lesser mobile devices that run Android under the Open Handset Alliance, in which device makers agree on certain restrictions to how far they can customize Android and integrate Google services into their handsets, thus contributing to Google’s revenues. The problem with the Android Open Source Project (AOSP) is that Google loses engagement with millions or billions of users worldwide since they no longer have full presence in the software. Also, since the search giant is not a core device manufacturer – though there’s the Nexus family of products – growing its user base through Android is key to keep the business going. Over the years, forked Android has risen, according to a report from ABI Research, which found that 20 percent of smartphones shipped from May and July worldwide were running AOSP. Some of the major companies, and also are Google competitors, include Amazon and China’s Alibaba. Both companies make drastic changes to Android for the Kindle tablets and smartphones, as well as low-cost devices in China. Perhaps one of the factors contributing to the rise of AOSP versions of Android is the growing number of device makers in emerging markets in Asia, particularly India and China. The phone makers in these countries represented more than half of the devices shipped worldwide in the second quarter of this year, suggesting a huge presence of forked Android in the region. One thing that attracts a great number of users to forked Android phones is the lower price compared to Google-centric versions. And since forked Android is open source, developers have cost efficient option. Alarmed perhaps, Google recently unveiled Android One, a standard aimed to develop smartphones with prices ranging below $100 but retaining feature Google services. The Mountain View company hopes users would find integrated experience with Android One.